Late summer is the time to turn your attention to preparing your lawn for another unpredictable Calgary winter. Ensure you have your landscaper scheduled for a fall fertilizing and aeration for your best chances at healthy growth in spring. 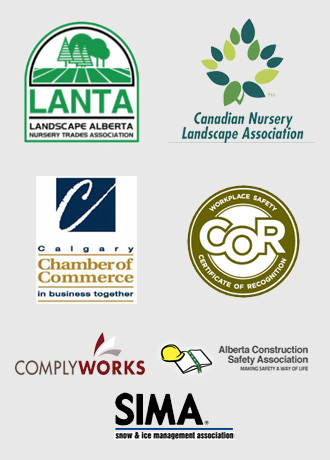 Mirage Landscaping has over three generations of experience serving their residential and business clientele in Calgary. Fall fertilization is essential! The next two months are a great chance to add carbohydrate mass to the roots of your lawn, however remember that fall fertilizing is different than spring fertilizing. In spring, your grass is in a different mode coming out of winter dormancy than it is in during autumn, when it is no longer in growth mode. If you apply a standard fertilizer mix, with its elevated nitrogen content, to grass about to go dormant, it cannot effectively use the increased nitrogen supply. The shortening days and cooler evenings of late summer and early autumn are giving your grass different biological cues than during Calgary’s short and sharp growing season. These cues are telling the grass to go into “recovery mode,” which is what dormancy in grasses is all about. Growth is not the priority, so new shoots and chlorophyll are not naturally produced. Though you can feed a lawn in September to trick it into new blade growth, winter comes too soon to Calgary to make pushing any new growth worthwhile. By spreading growth fertilizer on fall grass you aren’t helping it, you’re running the risk of killing it. Though the phosphorous will be absorbed to bulk up the roots, the extra nitrogen found in growth formulas isn’t needed at this time of year and the confused inputs either promote the grass to grow under inappropriate weather conditions, or worse, promotes hypertonicity. The nitrogen salts actually draw moisture out of the grass, giving it that scorched look. Ensure to use a fall fertilizing product. The best strategy for the optimal spring comeback for your lawn is not only a professionally administered fall feeding, but also for a power raking and aerating ahead of the fertilizer. Removing dead thatch keeps it from blocking nutrients from reaching the root system. A thorough aerating then combats two seasons worth of soil compaction from foot and pet traffic and ensures the inputs we do make are as effective as possible. Your grass isn’t the only plant that could benefit from a phosphorus application in the fall. If have tulips and other bulbs, fall is the time to both plant and feed them. By adding a hit of phosphorus to the buried bulb, you promote its strong root growth ahead of winter. Come spring, your bulbs will be fully ready to exploit the thaw and burst forth in a frenzy of colour. One of the big events of fall is the byproduct of its name. Leaves all over the ground. As we have mentioned in the past, allowing leaves remain in place can be a bad decision for your plants and your cement walkways. As leaves slowly break down and mix with water, which is a solvent in its own right, tannic acid is formed. This weak acid, when present in large enough concentrations, can alter the pH balance of the soil in the area, harming plants that are not acid loving. Tannic acid will also etch stains or even leaf patterns into concrete or paving stones. Of course, Mirage also provides leaf pickup and removal services. Autumn is also the time for blowing out your sprinkler system. Briefly, a blowout ensures that if a deep freeze should hit the region, as it has in the past, trapped water within the system won’t expand as it freezes, rupturing pipes. 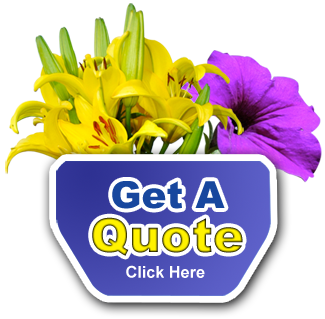 Whatever your needs for fall are, we offer free quotes on any size job.